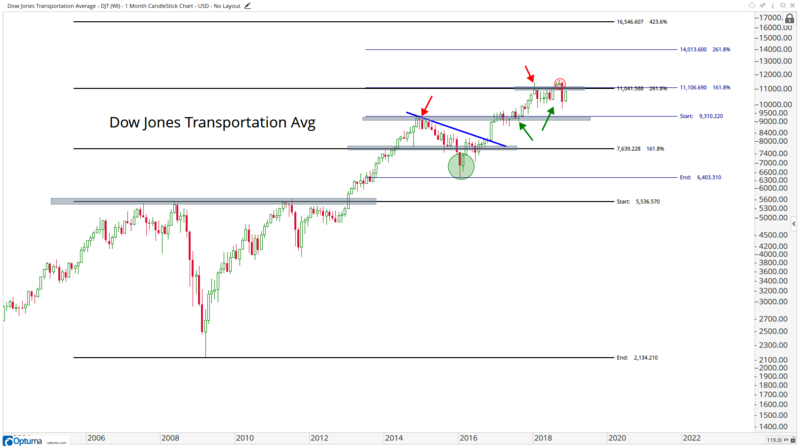 6 Fresh Charts: Breakdowns or Breakouts? When in doubt, zoom out. Monthly charts are a great way to do this, and on Friday we got new daily, weekly, and monthly candlesticks. Let’s start with the granddaddy of them all, the Dow Jones Industrial Average. 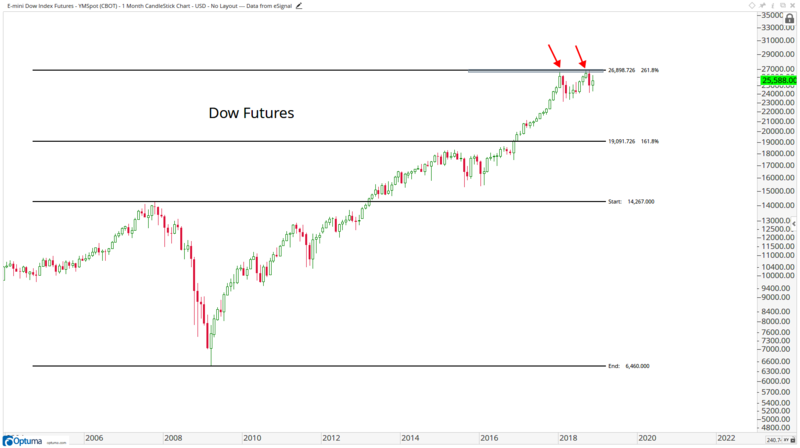 The Dow futures are running into the 261.8% extension of the 2007 to 2009 decline. This is a level we’ll likely be pointing to for decades to come. It’s been resistance all year. The question in the Dow is if this is a “double top” at a logical level? 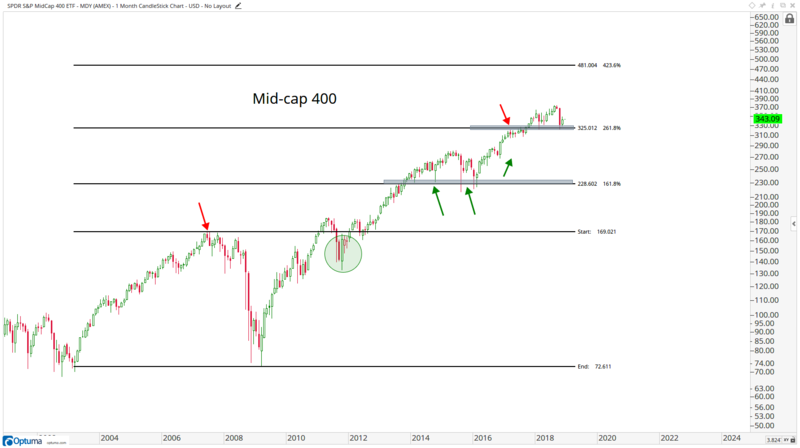 Or is this just part of a longer-term range below a logical level of resistance and then we break out in the first or second quarter of 2019? We’ll go through other charts to get clues so we can answer this question as best we can. 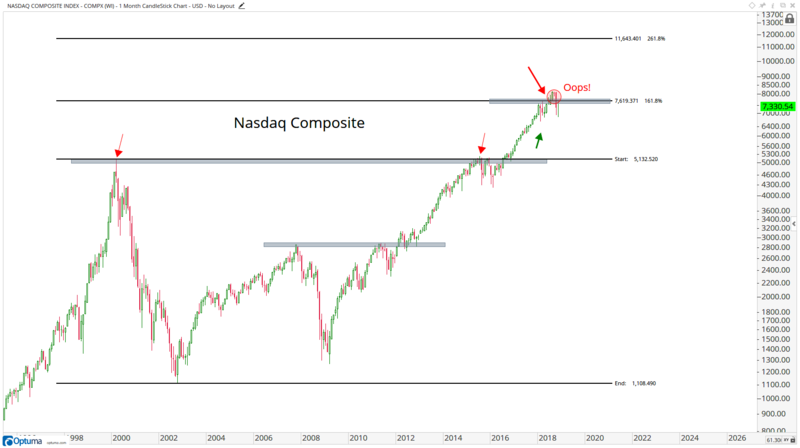 The Nasdaq Composite is one of the many examples in this market of failed breakouts at important levels. In this case, we’re talking about the 161.8% extension of the entire 2000 decline. 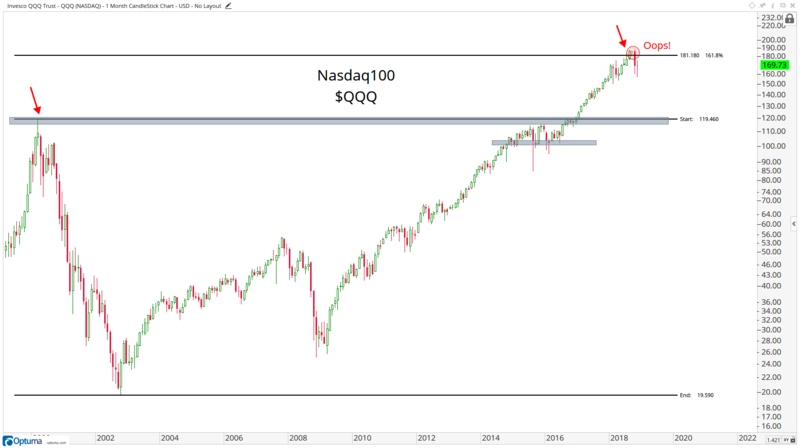 You can see a similar picture in the Nasdaq 100. We had an attempt to get through this level and it failed. It’s just what it is. 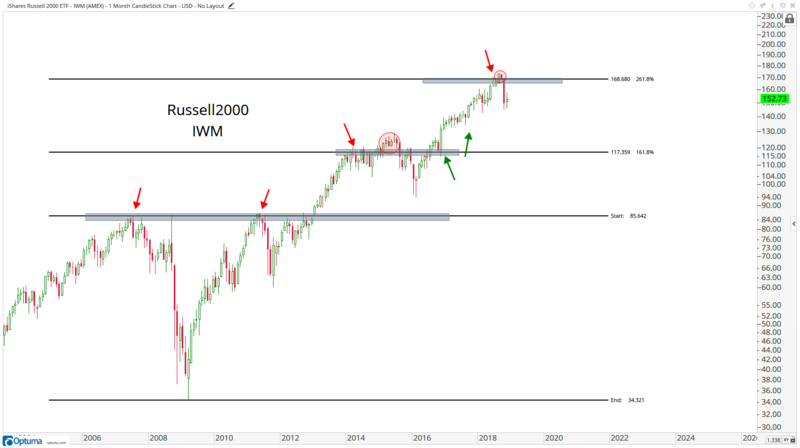 Moving to small-caps, look at the Russell 2000 failing at the 261.8% extension of the 2007 to 2009 decline. Again, this is happening at a very logical area, similar to the Dow and Nasdaq indexes. Finally, for today, let’s take a look at the mid-caps. They’ve always given us the best clues to the overall market. The ability for the Mid-Cap 400 Index to hold $325 helped us buy stocks more confidently in the first quarter declines. We’re looking to this index to help us in a similar way today. If we’re above $325, this points to a more range bound market for equities and ultimately breakouts in the first or second quarter of 2019. I’ll keep you updated on these key levels, and I’ll have more monthly charts to you this week.